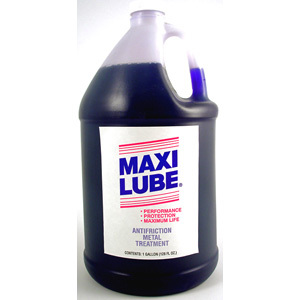 Maxilube ML128, 1 gallon bottle, anti-friction metal treatment is 100% synthetic. It is non-hazardous and bio-degradable and contains no petroleum distillates. Maxilube is not an oil additive, it is a metal treatment. Once the metal is treated with MAXILUBE friction virtually disappears. The engine will run much cooler, quieter and cleaner with more power, less oil consumption and better mileage.